The New Masons Bar & Grill is a newly renovated friendly family run business with excellent cuisine and mouth watering drinks and cocktails. We take pride in our food menu, with some of the best chefs from the west midlands all working from our kitchen. Offering daily specials. We show all of the biggest Sports events. Children are more than welcome to dine with us. Nice pub and good customer service. Poor to average food which is over priced. Fabulous food and drinks, staff all very friendly will definitely be coming back! The low mark for atmosphere is only because this was a Monday night and it was quiet. We have been before and it was a bit more lively then.Nice to be able to sit and talk and relax after our meal. We initially waited 15 minutes for our drinks to arrive , we then had to wait roughly15 minutes to be asked what we would like for food, we then had a  20 minute wait  for our starters to arrive. After a lovely starter we then waited a further 30 minutes for our main meals to arrive. The food was lovely but the time keeping I thought was unacceptable. 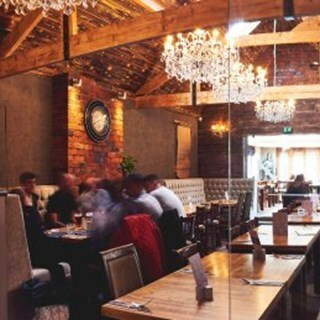 Visited for the first time and have to say the food was fab the service was excellent and the atmosphere was lovely . Will definitely be back. Best chips I’ve had in a while and the cheesecake and sticky toffee pudding were beautiful ! 4 girls all hanging around chattering rather than  taking our order. Gorgeous food in lovely surroundings- highly recommended!! Service was fab , food delish and drinks really lovely.